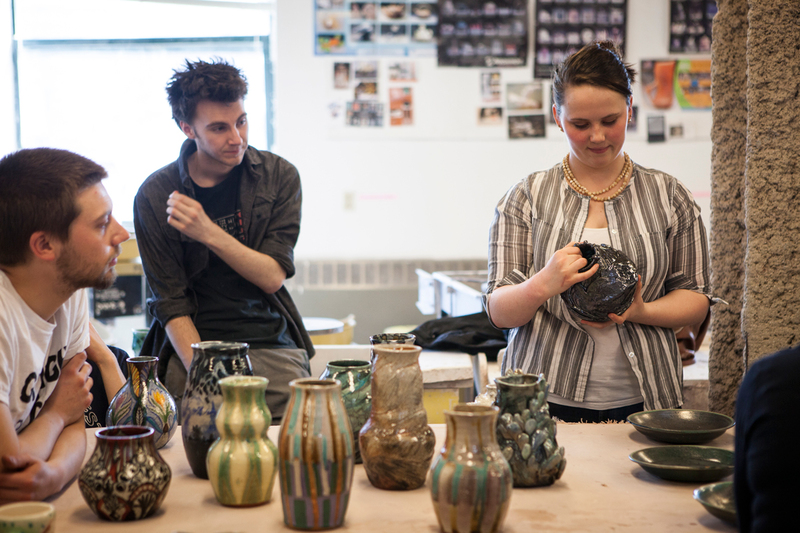 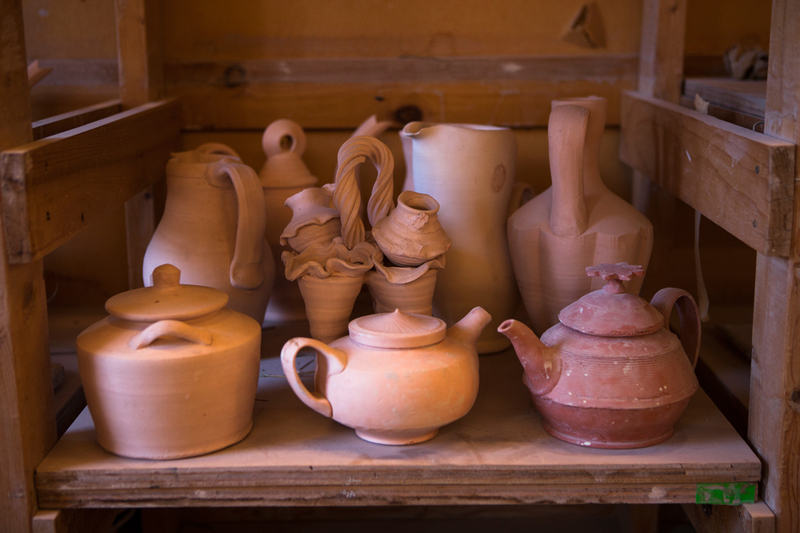 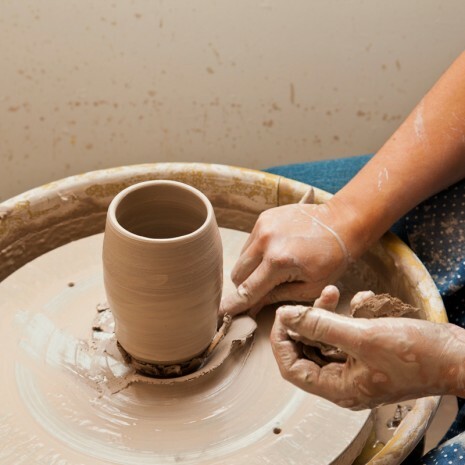 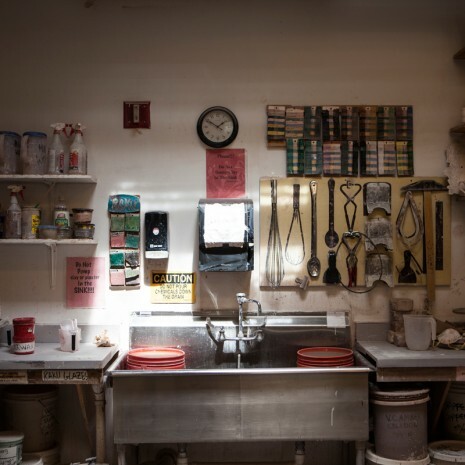 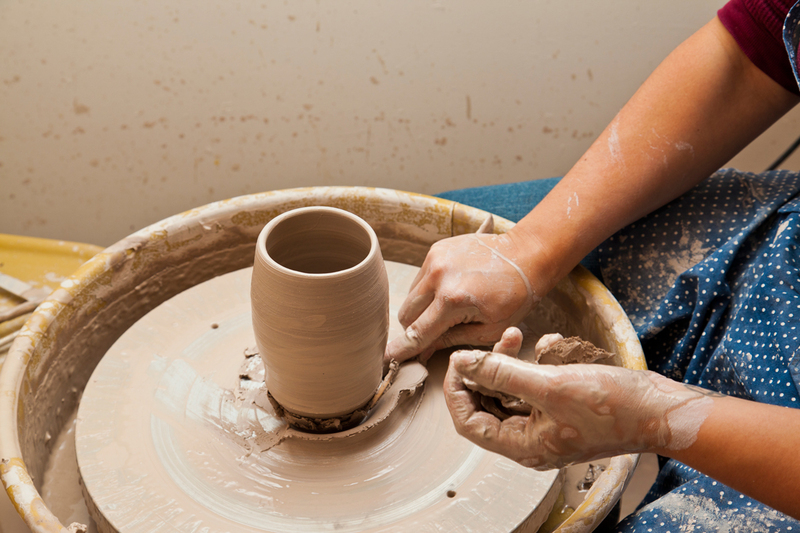 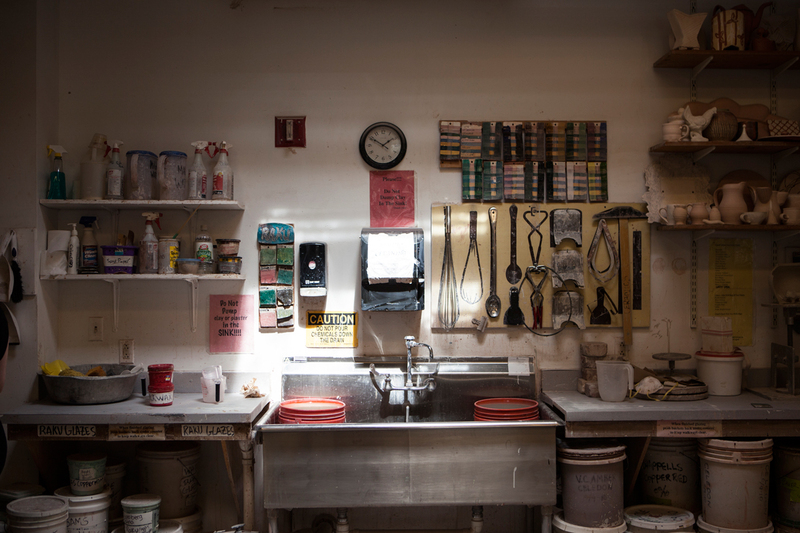 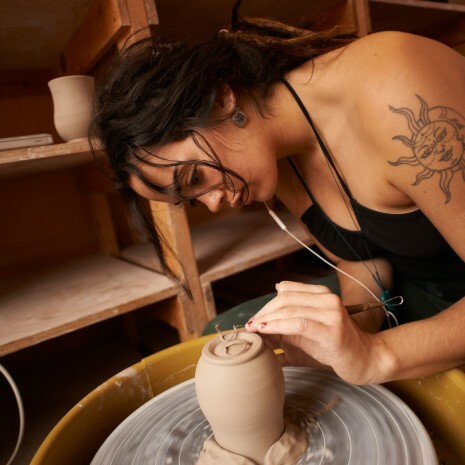 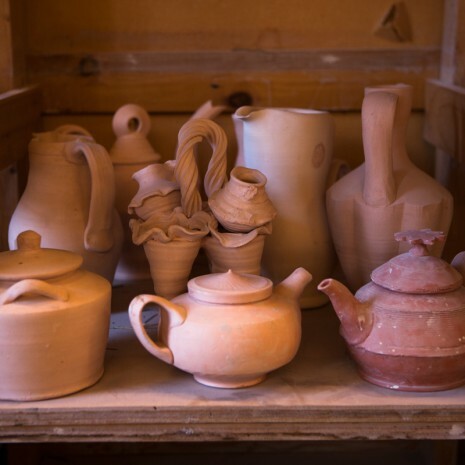 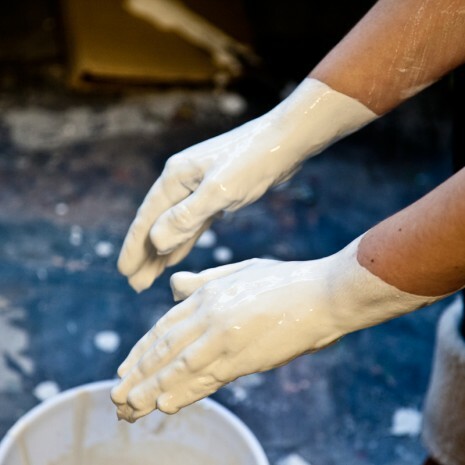 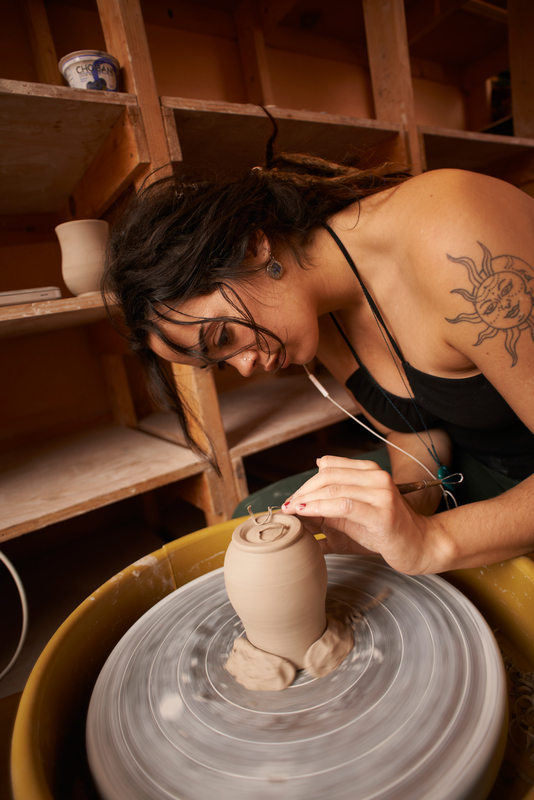 Ceramics majors have 24/7 access to individual spaces in a separate studio area that affords both privacy and space to develop a focused body of artwork. 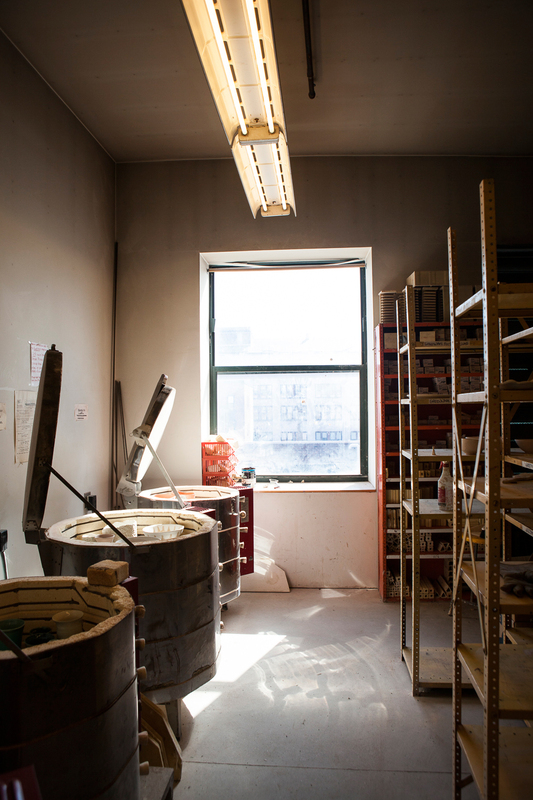 From ancient tools to cutting-edge applications, our studios and equipment are designed to encourage exploration of both sculptural and functional ceramics. 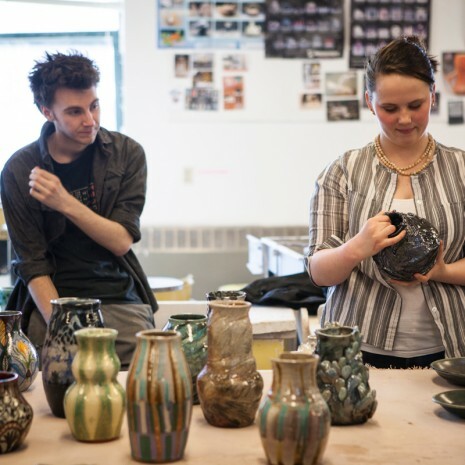 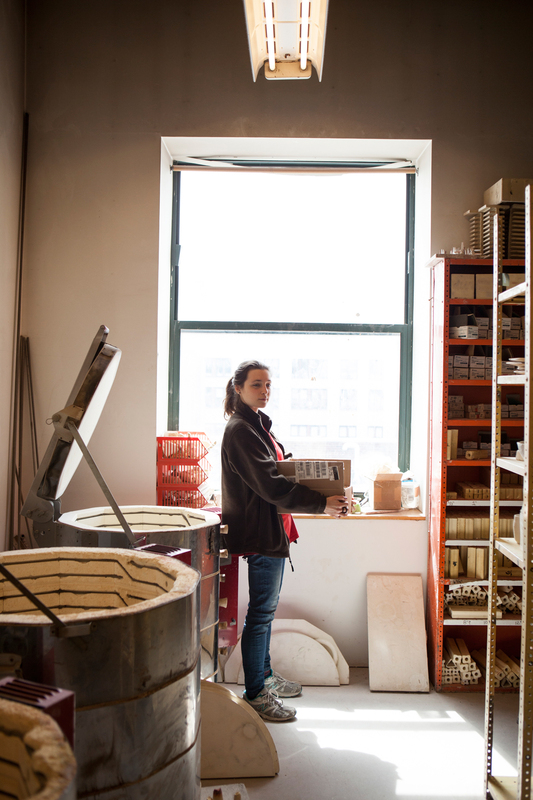 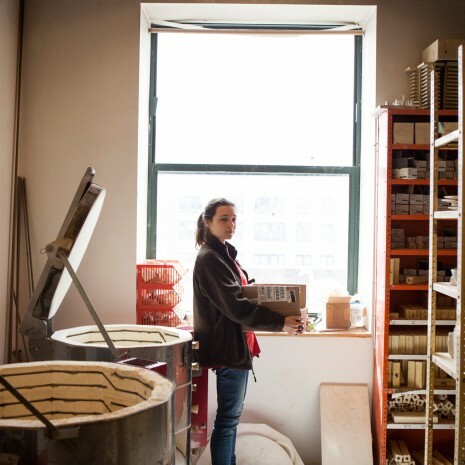 MECA students have access to a range of potter’s wheels, clay mixing machinery, and an innovative indoor kiln room that houses electric, gas reduction, soda vapor, and raku kilns. 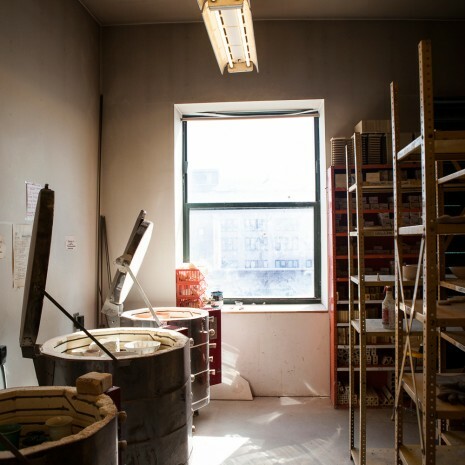 Our students also enjoy a fully stocked glaze room with large-capacity spray booth and a separate room for mold making and slip casting.